If something happened to you, who would care for your four-legged family members? Who would cover their veterinary medical expenses? Who would walk your dog or play with your cat? The answer is as simple as the Cohn Pet Care Facility Continual Care Program at OSU’s Center for Veterinary Health Sciences. 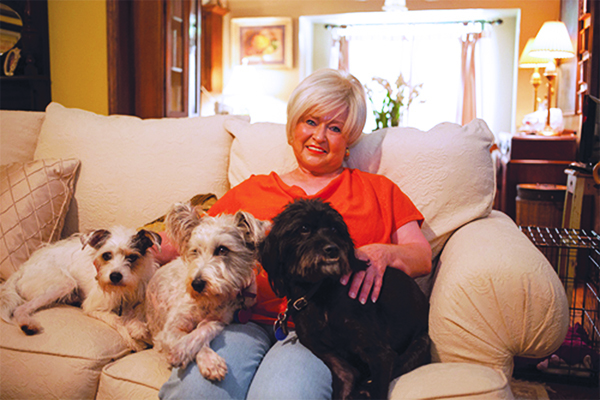 Established by a generous gift from Leah Cohn Arendt, the Cohn Pet Care Facility gives pets a haven when their owners cannot. Should you no longer be able to care for your cherished family members, the Cohn Facility provides a home for your beloved pets, excellent veterinary medical attention and an opportunity for them to interact with people. The Cohn Pet Care Facility covers eight acres north of the OSU's Veterinary Medical Hospital on the Stillwater campus. Each animal enjoys a private kennel with plenty of room to run outside. Pets living at the facility also enjoy free grooming and access to a large playroom where they can interact with visitors and staff. The Cohn Shelter houses cats, dogs and birds. You create an endowment fund to cover the costs of your pet's daily and long-term care. Your endowment can be customized to establish an adoption plan after your pet comes to live at the facility. You may choose to house your pet permanently at the Cohn Facility or work with staff to find your pet the perfect home that matches the requirements you establish when enrolling. Regardless of your decision, your pet will receive the highest standard of care from the center's veterinarians and support staff. How do you decide who adopts my pet? As you establish your endowment, you will tell us all about your pet — what it likes, a typical day in its life, etc. You can also list specific requirements for potential adopters. For example, if your dog prefers mature people, you can specify that the new owner does not have small children. 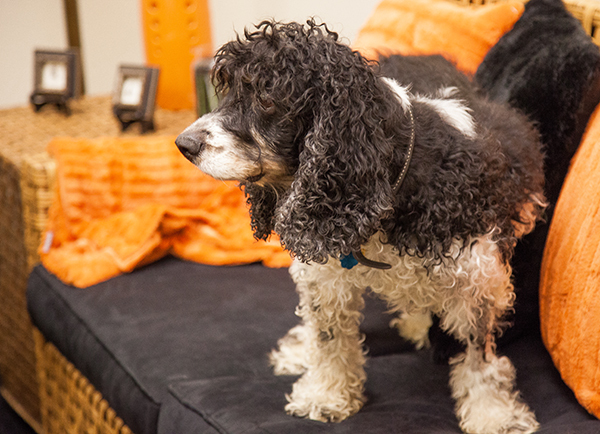 You can also name a friend or family member who will be responsible for adopting your pet while also ensuring all of its veterinary medical care will be provided by OSU through the endowment. And if appropriate adopters cannot be found, your pet will remain at the Cohn Facility, where your requests will be honored and your pet will be kept happy and healthy. How will my pet be cared for? While your pet is at the Cohn Pet Care Facility, your endowed fund covers all daily costs such as food, toys and bedding, as well as any medical procedures, routine veterinary visits and vaccines. OSU’s Veterinary Medical Hospital is staffed with board-certified experts in their fields, ensuring your pet receives quality and timely attention. What happens to my endowment if my pet passes away before me? Your endowed gift ensures the health and happiness of whichever animal (at the same endowment level) that may be your companion at the time your pet arrives at the Cohn Pet Care Facility. If your pet passes away before admittance to the facility, your endowment will extend to any future pet you may acquire at the appropriate endowment level. After your pet is deceased, the endowed fund will benefit the Center for Veterinary Health Sciences as a whole. Your gift will support the education of future veterinarians and research into new and improved veterinary treatments. Just fill out a few forms including information about your pet’s daily routine and provide a photo of your pet. To guarantee a spot for your pet(s) and secure the current price, 5 percent of the total endowment amount is due at enrollment. For more information, contact Heidi Griswold, Senior Director of Development at the OSU Foundation, at 405-385-5656 or hgriswold@osugiving.com. Vicki Palmer's generosity has enhanced the facility. In addition to endowments honoring her pets, Palmer has also made several other gifts to the Cohn Pet Care Facility including furniture, décor, a vacuum and a lawn mower. These additional donations make the facility more comfortable and more like home for the pets that are living there. Cat or small bird: $50,000 endowment. Dog or large bird: $75,000 endowment. For more information about supporting the Cohn Shelter, contact Heidi Griswold.